Life isn’t easy for a soccer player with having one of best soccer balls in the world. Or is it? Across the world, soccer is the most followed sport. It is called different names based on the location. It is called soccer in America while in Europe it is called football. Regardless of the name it’s called, the game still remain the same. Children from as early as age five are exposed to this game and they learn early how to play this game. This is why it is very important to have the right materials to enjoy the game. The ball that is kicked around when playing the game is the most important thing needed in soccer. Some part of the world play the game without shoes, while some play on pitches that are not standard, but just improvised to accommodate the game but none has ever played the game without the soccer ball. It is impossible. This is why the type of ball that is used has to be of great importance to everyone involved in the sport. The reality of life sets in when kids or nonprofessional get a soccer ball that is not of standard and play it but don’t last to their required period before getting damaged. This is when many understand and appreciate the need to put the decision of getting the right soccer ball seriously. Some however fall into this situation because of limited funds to get the right ball. In this piece, we will be talking about how to get the best soccer ball in the world that little money can afford at the right quality because the best and cheap soccer balls does almost the same duty as the good one. The only problem is that they are always not easy to get in the market as their demands are always higher. However when it is time to go professional, the best and most quality soccer ball has to be sort for which comes at a high price. What Are the Different Types of best Soccer Balls in the world? There are several types of soccer balls available in the store. However, before choosing the soccer ball you are paying for, it is important to know the different types of soccer balls and what they are used for in particular. There is specifics to how these balls are used and some are specially designed for different unique purpose, thus a reason to know the different types available. Turf Balls: The pitch a ball will be used also determine the type of ball to be used. In this instance, a turf ball is needed on artificial pitches so as to mimic the grass. They are best suitable for the grass and they are very affordable. They however can be used at other type of pitches and expect good result as it will a lot on natural pitch. Training Balls: Before competitive soccer games, there are warm ups and training ground skills that has to be perfected before the match day, the training balls is the most appropriate one for this type of thing. They are the ones we see on the streets that is being kicked around by kids as they are suitable for any field, either artificial or natural pitches. Due to the fact that they are training balls, they are designed to last long and be used by any player, professional or amateur. Match Balls: These are the balls that are seen on competitive day on the pitch. These are the balls that can be used on any pitch as long as it is meant for the real game. They are hardly seen around being kicked on the street as they are very expensive than all other types of ball. Match day balls however have an advance type that is called the premium match balls. This is much more expensive than the match ball and are the FIFA approved type of soccer balls and it’s what our superstars we see on TV plays. With all these types of soccer ball, we will wonder that when we play ball, the sizes are sometimes bigger than each other. Is it due to the types of soccer ball we play or there are different sizes for every ball? The former answers the question correctly. Then another question that pops up is why there are different sizes then when we all want to achieve the same goal of wanting to play good soccer game. There are five sizes of soccer ball. Each size shows the level the player is and what size best suits his grade. Size 1 is best for young kids who are just starting to learn how to kick football and it is the first they buy for them. More or less like a toy. After grabbing the whole soccer vibe, they migrate to size 2 which is half the regulation size. This is basically a good ball when it is played within a confined space or indoor. Size 3 is recommended for kids that are about going professional at young age. That is players that want to go for age grade tournaments. Its size is always a ratio of the kid’s leg while size 4 is meant for kids also in age grade tournaments like the under-12 games. It is from this stage the kids now getting exposed to the real professional balls that is used in competitions like the Champions League and in various league across the world. After knowing the various sizes and types of football, it is important to know what materials the balls are made of and what sets each quality apart. The materials used are very important because the way the lining, bladder and cover of the balls are designed which is influenced by the material used and the level of craftsmanship in the manufacturer makes the balls come out better than each other. These qualities are known during the use of these soccer ball. Some of the balls don’t last long while others can be used over a very long period of time. The qualities stated above play a major part in this. For a very good soccer ball to be constructed by any company, one of these three methods has to be use. Due to the amount some pf the bes soccer balls in the world cost, it is important to safe guard them and ensure they are properly maintained especially after usage. Many soccer balls don’t last not because the ball is bad but due to how it’s being cared for by the owner. Regardless of how long a soccer ball has been in use, what is important is that it should be well maintained and the duration of usage might not be noticed at all. In the process of caring for the ball, the first thing that must be watched out for is the inflation level of the ball. For most soccer balls, the right amount of inflation is between 9-10.5 pounds of air. For most that may not be sure of the amount of air suitable for their balls, it is best to follow the manufacturer’s recommended amount which is always written on the ball. One little detail many don’t take cognizance of with their ball is the care after a game. Many don’t clean the ball before keeping it at a place. They just drop it somewhere but cleaning it every time a match is played help increase the lifespan of the ball. A good reason why one should clean the ball is because of the grit, dirt, and debris that the ball can pick up on the pitch impacts the panels and stitching with every rotation. So cleaning takes those things off. Where the ball is kept is very important. The temperature level of where the ball is kept is a factor as it has to be in a place with not too much heat or cold which could affect the shape and size of the ball. It is important to know all these information before proceeding to buy a soccer ball because it make no sense to spend as high as $150 for a soccer ball that doesn’t last long. The prices of the best soccer ball in the world varies base on the size of the ball and what purpose the ball will serve. For someone that just a ball that will be used for playground and nothing close to professional play, $20 could still get a ball. This type of ball may however not maintain its shape as time goes on. If it’s a professional just starting his career and wants something that will be used for self-training, then he should be saving in the region of $30-50. When he eventually goes pro, then the cost become as high as $150. With these information, it’s time to pick the best soccer balls in the world that are available in the market. In soccer, Adidas produce one of the finest and the best soccer balls available in markets. This is not up for debate. 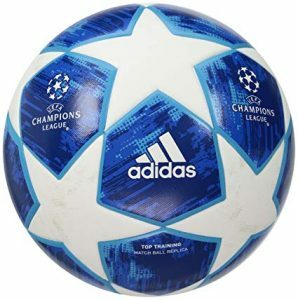 One of their best product is the Adidas champions league Top training soccer balls. This is the replica of the balls used in the Champions league final. This ball type is unique because of its level of durability, reliability and comfort of playing football, this is the best option money should go for. the fact that it passes FIFA tests for weight, circumference, rebound, and water absorption is an added advantage to how useful the ball can be. It is the closest you can get in the entry-level categories for a soccer ball to the match ball experience. Nike Aerow is the type of soccer ball that is best suitable for grass pitches and turf but not advisable for rough surfaces like concrete or gravel. It is also very useful for indoor games. This is why its best bet its on natural and artificial grass surfaces. This give it a very good movement when in use and the players enjoy a ball that is very mobile on their pitch. The uniqueness of the ball is that if there is any case of little burst or inflation, the butyl bladder allows the ball to hold its inflation pressure with an impressive amount of consistency. It also comes at price that could be affordable. As stated earlier in this piece, there are different size of football base on who and what the ball will be used for. 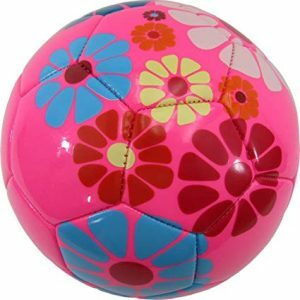 The Vizari Blossom soccer ball is one close to a size 4 type of ball. It is useful for young professional starting their career and will love to train at home. This is the most recommended type of football they will be needing. The sizing might however some that prefers the normal standard soccer ball for training and thus sees it as too small. It however have the traditional hexagon panels over the entire cover of the ball. This help with players footwork and some skills that need to be done as fast as possible especially for an attacker. The English premier league is arguably the best league in the world and it is not surprising that among the best soccer ball available, its ball ranks amongst it. 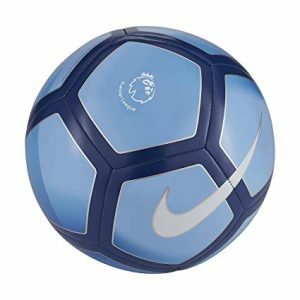 The Nike Pitch premier league ball is one of few balls that it doesn’t come inflated by the manufacturer as the players have to do this by themselves. 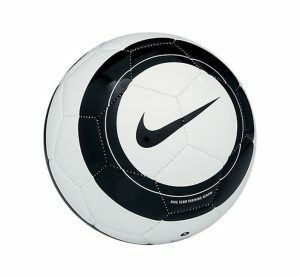 When inflated the right way with the right needle, the ball will be in use for a very long time without needing to be pumped again which is a big boost over latex bladders, which need to be inflated about once per week on average, this Nike soccer ball offers a minimal maintenance experience. It is excellent for both practice and match experience. 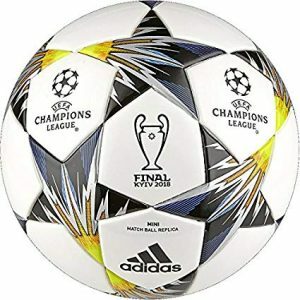 Any ball produced by Adidas especially for the champions league always come good. There is no difference with this Champions’s league Capitano ball also. The performance of the ball is also top notch. This is noticed when the ball is struck which makes the movements were accurate and authentic. It is however a bit heavier when struck. It also features a machine-stitched construction that is accompanied by an internal nylon-wound carcass so the ball has an improved level of durability compared to other soccer balls at this price point.